Our new pit stop to beat the heat! My buddy, Carl Webb suggested we attend the grand opening a few months ago. 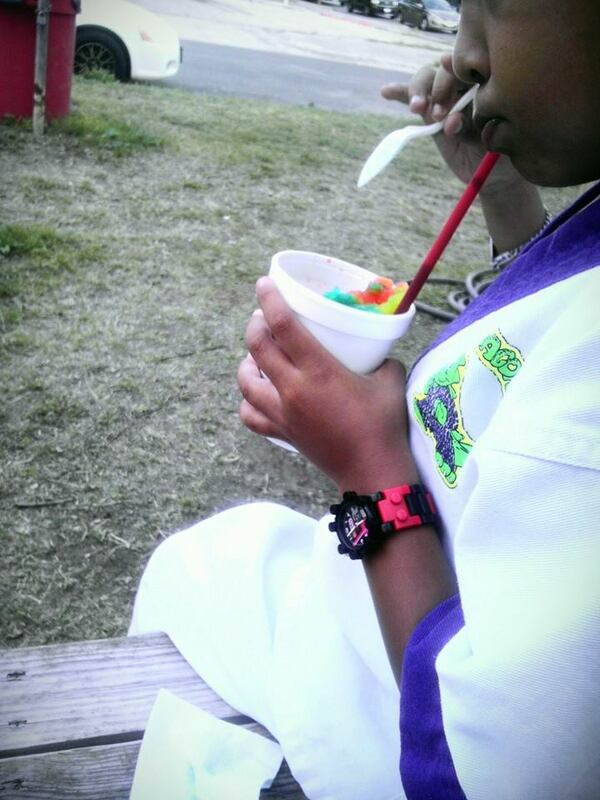 So glad he did because the kid tried the rainbow flavored sno – ball for the first time and it’s now his favorite! Even with the long lines, Mars and crew took their time to find food allergy friendly flavors for our order. THANK YOU!